How magical are these? Twinkling little lights look like captured fireflies. 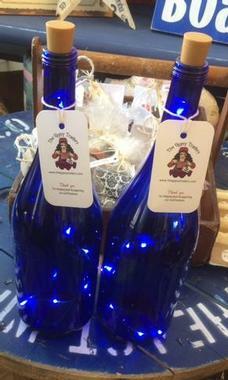 Beautiful cobalt blue bottles would look great on your patio or deck. Light up the night! Created by our crafter Alyssa. © The Gypsy Traders. All Rights Reserved.